Tea is considered to be an ancient drink with many benefits. Over the past few years, it seems that people have actually started realizing its importance due to which the trend of drinking it in different ways has increased. Some people prefer to drink green tea while some still have the taste of an orthodox drinker. It definitely has got many health benefits, but anything that you take more than a limit is harmful, and so is the tea. You might have tasted CTC and Orthodox drink and it is quite obvious to not be clear which type of drinker you are. At such time, there are certain quick facts that can help you understand your taste bud about the type of drink that you like. There is a proper way to make this type of tea, and for that, an ancient method is only advised. It is first harvested and then well processed, not by machine, but by hand. This ensures that the leaves get well plucked up from the tea brush top and stays intact so that it can give a better taste. There is no doubt that technology advancement has introduced the best machine to process the tea, but if you need to avail genuine results and enjoy the right taste, then the hand process is the best. CTC is an abbreviation of Crush-Tear-Curl, which is a new way to process the tea. This type of process was initially started to save the time and effort that was required for making the black tea. In this process, a machine is used that has a cylindrical roller, which crushes and tears the leaves and buds and then makes the low quality yet the well-grounded tea, which you can notice in the tea bags. Why does it Matter to Understand the Difference Between the Orthodox Tea and the CTC Tea? Both types of tea vary in taste, effect and the way it is processed ,which is why you need to understand the difference. 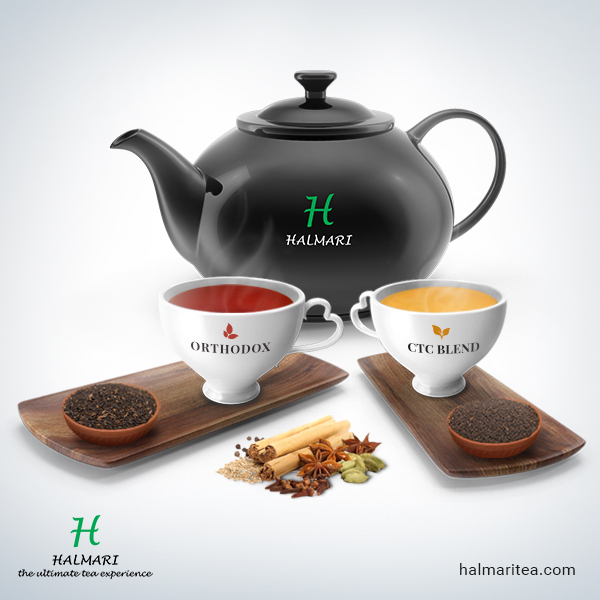 An orthodox tea comes with different flavors and is quite subtle over CTC tea. If you love to go for a spiced tea or tea bag also known as Masala Chai, then CTC tea is a good option. Most of the workaholics usually prefer the plain drink, which is either black or has a lemon flavor and this type of tea is called Orthodox tea. CTC has harsh taste whereas orthodox tea comes with distinct flavors. These small differences had distinctive results on the body, which is why knowing it carefully will help you choose the right option. So far, the argument on whether the orthodox tea is better over CTC or vice a visa is still into matter, but both these types have great benefits. It certainly varies in the way it is being made, the taste it offers and the quality it offers, but you can enjoy good health effects by drinking any of this type. If you love to drink a strong tea that boosts up the mind and body instantly, then you are definitely a CTC drinker and if you like a tea, which tastes and smells better, then you certainly prefer to be an Orthodox drinker.